NEW YORK -- The following news release from WABC-TV details the station's performance in 2017. #1 ON-AIR AND ON SOCIAL MEDIA! NEW YORK, Dec 29th, 2017 -WABC-TV, Channel 7, the ABC-owned television station in New York, continues to be the most watched station in the nation's largest media market. Finishing 2017 with a 3.0 rating/8 share in DMA Households from 6 a.m. to 2 a.m. Monday-Sunday, WABC-TV extends its run of dominance in the Tri-State area. The station's average quarter-hour audience of 269 thousand viewers all year long gives it the largest audience of any television station in the nation. 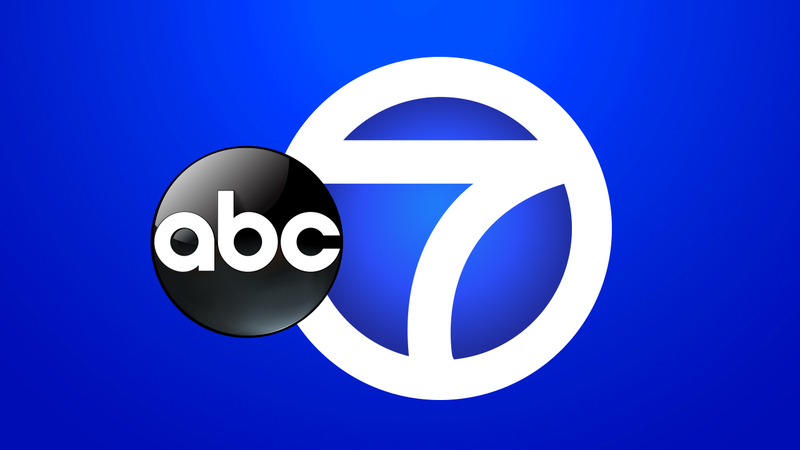 As consumers continue to demand access to news wherever they are, the station responded by launching an all new video-centric ABC7NY news app this year. WABC also leads the market among local broadcast websites and their pages' Facebook Likes, Twitter followers and Instagram followers. WABC-TV's signature Eyewitness News franchise was the dominant broadcast news source in 2017 for the New York market. The Eyewitness News team travelled to Houston and Florida to cover the devastating hurricanes there, and made three separate trips to Puerto Rico in the aftermath of Hurricane Maria. Eyewitness News also made trips to Texas, Las Vegas and Manchester, England, to cover the mass shootings that happened in those areas. Late in the year, the station was abroad again when President Trump announced the relocation of the U.S. Embassy to Jerusalem. Back in the Tri-State region, WABC-TV's consumer unit, 7 On Your Side, helped recover more than $1 million for local viewers for the fourth consecutive year. For the fifth consecutive year, WABC-TV brought viewers nearly eight hours of exclusive live coverage of the city's biggest local sporting event: the 2017 TCS New York City Marathon. In partnership with ESPN, WABC-TV's coverage reached more than 1 million viewers locally and averaged 348,000 viewers per quarter-hour during the race coverage. ABC7NY also had more than 160,000 live stream starts and more than 1.5 million page views across its digital platforms on race day. Channel 7 also attracted large audiences with its pre-race coverage that morning, with its "Countdown to the Starting Line" special, and with its live coverage of the Opening Ceremony. WABC-TV's coverage also reached millions of people via social media and tweets from around the world, making it a truly global success. WABC-TV was also the market leader for local non-news programming, adding even more to its schedule this year with the addition of the New York City Pride March and reaching 142 thousand viewers with this initial telecast. Channel 7 continued to provide four hours of live coverage of the National Puerto Rican Day Parade from 5th Avenue, attracting an average of 221 thousand viewers that represented a 13% increase over last year. Channel 7 was again the exclusive broadcast partner of The New York International Auto Show with a live program from the Javits Center that reached 250 thousand viewers, also an increase from last year. And in September, the station forged a new partnership with food leader Danone as it brought its globally-renowned youth soccer tournament "Danone Nations Cup," to the U.S. for the first time: abc7NY.com provided live coverage from New Jersey's Red Bull Arena, streaming tens of thousands of hours of the event to families and fans in the region and around the world. Source: NY Nielsen LPM Live+SD Overnights 1/1/16-12/27/17; Instagram; Facebook, Twitter, Hitwise. Channel 7 also maintains its strong ties to the local community with annual broadcasts. The Columbus Day Parade, United Airlines NYC Half Marathon, Operation 7: Save-A-Life fire safety campaign, Above & Beyond, Breast Cancer Awareness, Black History Month, Hispanic Heritage Month, two editions of Broadway Backstage, coverage of the Bethpage Air Show at Jones Beach, the annual New York Holiday special, and Protect Our Children are all important to helping fulfill Channel 7's mission to reflect the large and diverse community it serves. While success with local specials is notable, it is the station's daily line-up that makes it the most-watched station. The WABC-produced, and nationally syndicated, favorite "LIVE with Kelly and Ryan" welcomed Ryan Seacrest to the program and continued to dominate the ratings. The longtime morning staple finishes 2017 as the winner in New York among DMA Households, Women 18-49 and Women 25-54. The show's annual post-Oscars telecast from the Dolby Theater in Los Angeles was a huge ratings success, and its annual Halloween show in October delivered more viewers than many prime-time shows. The station's local news success begins with Eyewitness News This Morning with Ken Rosato, Shirleen Allicot, Bill Evans, and Heather O'Rourke. From 4:30 a.m. - 5:00 a.m., Channel 7 attracts at least 50% more DMA Households than any local news competitor and also leads among Adults 25-54. In the 5:00 a.m. - 6:00 a.m. hour, Eyewitness News attracts more than twice as many DMA Households as any competitor and holds a stellar 75% advantage among Adults 25-54. From 6:00 a.m. - 7:00 a.m., Eyewitness News also reaches at least twice as many DMA Households as any competitor and maintains a 38% edge among Adults 25-54. In each of these areas, Eyewitness News has a stronger margin of victory over its competitors than it had a year ago. Eyewitness News at Noon, with David Novarro, Shirleen Allicot and Bill Evans, had another strong year. The only hour-long midday newscast in the market ranks #1 with a 52% lead among DMA Households. The station's midday news also ranks #1 among Women 25-54 and Adults 25-54 with more viewers than its two competitors combined. In both DMA Households and Adults 25-54, Eyewitness News at Noon is up from last year and has a larger margin of victory over its closest competitor than a year ago. Eyewitness News First at 4 with Liz Cho, David Novarro and Lee Goldberg, maintains an 86% advantage in DMA Households over its local news competitor at 4:00 p.m. It also holds a 75% edge among Adults 25-54 and tops many of its 5:00 p.m. and 6:00 p.m. competitors in the demo despite airing earlier. WABC-TV's Eyewitness News at 5 with Diana Williams, Sade Baderinwa and Lee Goldberg, wins its time period among DMA Households and Adults 25-54 for the year. Among Adults 25-54, it holds a wider margin of victory over its closest competitor than a year ago. The weekday edition of Eyewitness News at 6 with Bill Ritter, Liz Cho, Lee Goldberg and Ryan Field, delivers a DMA Household rating that is 45% higher than its closest competitor. It also maintains an 86% lead among Adults 25-54, also a wider margin than a year ago. The weeknight edition of Eyewitness News at 11, featuring Bill Ritter, Sade Baderinwa, Lee Goldberg and Ryan Field, completes the total weekday victory for Eyewitness News in 2017. WABC-TV wins the late news race among DMA Households by 26% and among Adults 25-54 by 55%, once again a wider margin of victory than a year ago in both areas. New York's number one news is equally strong on weekends throughout the calendar year. The weekend morning edition of Eyewitness News This Morning with Michelle Charlesworth, Rob Nelson, and Amy Freeze, ranks #1 in DMA Households and Adults 25-54 in 2017 while offering more local weekend morning news than any other station in the market. On weekend nights, Eyewitness News at 11, a one-hour newscast featuring Joe Torres, Sandra Bookman, and Jeff Smith, is #1 in DMA Households and Adults 25-54. ABC News also continues to perform well on Channel 7. ABC's Good Morning America remains the top choice in its time period for Tri-State area viewers. The program ranked #1 for the year among DMA Households, Adults 25-54 and Women 25-54. In the evening, ABC's World News Tonight with David Muir holds a strong 90% lead over its closest competitor in DMA Households and has a 78% edge among Adults 25-54. ABC's other weekday programs also continue to thrive on Channel 7. ABC staples The View and The Chew continue to win their respective time periods among DMA Households and Women 25-54. ABC's General Hospital continues to lead its time period competition in DMA Households and key demographics. In Late Fringe, Jimmy Kimmel Live performs well and ties for #1 in the time period among Adults 25-54. ABC's veteran Nightline remains a competitive entry at 12:30 a.m.
WABC-TV's syndicated programs Jeopardy! and Wheel of Fortune continue to be #1 in Prime Access in DMA Households and most key demographics. From 7:00 p.m. - 8:00 p.m., Jeopardy and Wheel of Fortune attract more DMA Households than the next four closest competing stations combined. The longtime audience favorites also attract more Adults 25-54 than any two competitors combined. In Primetime, ABC successfully introduced The Good Doctor and it quickly became one of TV's biggest hits. It joins a line-up already packed with successful shows that includes Black-ish, Scandal, Speechless, Modern Family, The Middle, The Goldbergs, Grey's Anatomy, Dancing with the Stars, How to Get Away with Murder and Shark Tank. Channel 7's digital platforms continue to evolve and grow. Eyewitness News produced more than 11 thousand video clips this year, an increase of more than 60% over 2016. More than one thousand were originally produced content, and this year also saw WABC's first digital long-form report, a 15-minute mini-documentary titled "Crisis in Puerto Rico." Video views and live streams grew steadily as the year progressed. ABC7NY.com and the Eyewitness News app continue to reach millions of people with well over 100 million page views annually. Late in the year, a new Eyewitness News app was rolled out, helping to reach more consumers wherever they might be. On social platforms, the station leads its competitors with the most Likes and followers on the major social networks and some of the highest levels of engagement in the market. Its main Facebook page has 1.9 million Likes, on Twitter its main feed has 619 thousand followers, and it has 132 thousand followers on Instagram. In addition to the main pages, individual anchor and reporter social accounts engage thousands of viewers each day in the country's largest market. Source: NY Nielsen LPM Live+SD Overnights 1/1/16-12/27/17; comScore, Omniture, Facebook, Twitter; Shareablee.